This is Sonny Boy Williamson II, a man who, throughout his life, was a master of misinformation. He was an inveterate liar who even maintained that he was the original Sonny Boy Williamson – rather than the original who recorded two decades earlier and whose name was John Lee Williamson. However, Sonny Boy’s liberal way with the truth, and his desire to confuse and confound should in no way detract from his talent. He was an inspiration and a wonderful Blues singer and arguably an even better harmonica player. “We used to call him Little Boy Blue. He had a belt with all his harmonicas in, and used to wear it round his waist. 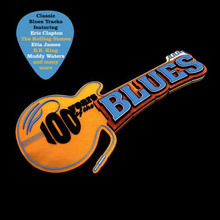 That was around 1932.” – Homesick James Sonny Boy Williamson hobo’d around the Deep South he used the name, Little Boy Blue, and it was after him that Mick Jagger and Keith Richards‘ named their first band in 1961 – Little Boy Blue & The Blue Boys. He was a giant, not just of the harmonica, but also as a composer and performer. Sonny Boy commanded attention on stage, and it is clear that he had a presence even larger than his 6ft wiry frame. Quite simply he was one of the most charismatic performers in the whole blues genre. His recording debut was for the Trumpet label in Jackson Mississippi in 1951. He later played harmonica on Elmore James’s classic, Dust My Broom and by 1955 his contract had been ‘sold on’ to Chess Records. His first sides for Checker, included Don’t Start Me Talkin’, featuring Muddy Waters, Otis Spann, Jimmy Rogers, Willie Dixon and Fred Below; it made No.3 on the R&B chart in 1955. Later Keep It To Yourself and Help Me also made the R&B charts. The former two tracks can be heard on his 1959 album, Down and Out Blues which also includes the quintessential, Fattening Frogs For Snakes. 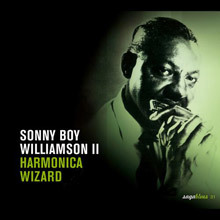 To give you a great overview of his career, Blues Greats – Sonny Boy Williamson is a great place to start. In 1963 he was included in the American Folk Blues Festival that toured Europe and he became much loved in Britain, where he recorded with The Yardbirds, with Eric Clapton, and The Animals having decided to stay behind to work solo for a year. He returned to the USA in 1965, but talked of returning to Britain; it was not to be – the harmonica wizard and raconteur died in his sleep in May 1965. 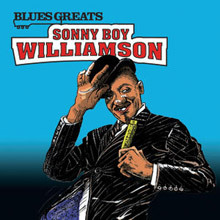 Like the man whose name he took, the original Sonny Boy Williamson, Sonny Boy No.2, did much to shape the harmonica’s place in the story of the Blues. He was born Aleck Ford in Glendora, Mississippi, possibly, in 1899, and was the illegitimate son of Millie Ford, but he later took his stepfather’s name – Miller. Such is the confusion about Sonny Boy’s early life that his gravestone gives his birthday as 11 March 1897, while others have argued he was born in 1910! Whatever the truth he began playing when he was just five years old and quickly developed into an accomplished harmonica player. From a young age he earned tips from playing street corners, dances and at house rent parties. Sometime in the 1930s Sonny Boy married Mary Burnett, Howlin’ Wolf’s half-sister; during this period he taught his young half-brother-in-law the harmonica. Sonny Boy worked throughout the Delta. Sonny Boy learned his trade well and when he, and Robert Jr. Lockwood, began appearing on a daily KFFA radio show in 1941 he was already a ‘star’ of the Delta Blues scene. His performances on the fifteen-minute radio show, ‘King Biscuit Flour Time’, were, just like all his performances a mixture of the musician, the raconteur and the showman all thrown together in a seductive blues package. Sonny Boy used the radio to promote his evening performances, which got club owners to pay him better money as more people visited their club; it also helped in advancing Sonny Boy’s career as the show was networked to WROX-radio in Clarksdale, Mississippi and KXJK-radio, Forrest City, Arkansas. He worked on ‘Sonny Boy’s Cornmeal and King Biscuit Show’ until 1948, his face was printed on the bags of cornmeal to sell the product. Sonny Boy and Robert Lockwood began calling themselves the King Biscuit Entertainers and evolved into a full blown band that included at various times, pianists Dudlow Taylor, Pinetop Perkins and Willie Love; Peck Curtis on drums and Houston Stackhouse on guitar. The King Biscuit show was one of the most popular on the radio even spawning its own blues song – ‘The King Biscuit Stomp’ recorded by Big Joe Williams in 1947. 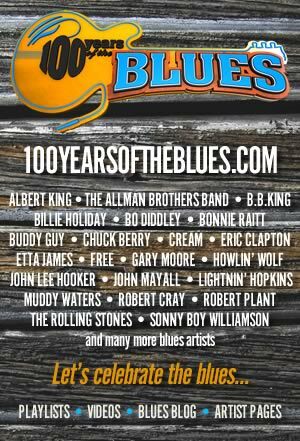 Among those that Sonny Boy also appeared with were Howlin’ Wolf on the Hadacol Show on KWEM that broadcast from West Memphis and Elmore James on the Talaho Syrup show on WAZF that broadcast from Yazoo City in Mississippi. Hadacol was a patented vitamin supplement that was popular throughout the south, probably because it contained 12 percent alcohol. Despite being well known in Black households across the South his recording debut was not until January 5, 1951, for Lillian McMurry’s Trumpet label at their studio at 309 Farish Street in Jackson, Mississippi; it featured pianist Willie Love, Elmore James, Joe Willie Wilkins, and drummer “Frock” O’Dell. None of these sides were released at the time. His first recording to be released was made on March 12th 1951, it was the classic, Eyesight For The Blind, which featured Willie Love on piano, Henry Reed on bass and Joe Dison on drums; this song would later feature on the Who’s Tommy album. More Trumpet sessions followed between 1951 and 1954. Amongst the other sides he cut for the label were Nine Below Zero and he played harmonica on Elmore James’s classic, Dust My Broom. 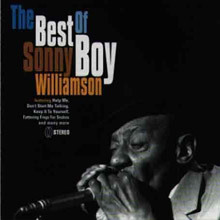 While Sonny Boy would later re-record many of his early, self composed, recordings these early sides capture the feel of his raw juke joint blues to perfection. Such was his skill with the harmonica that he could put the entire harp in his mouth and still draw the notes. Whenever he played his harp became the centre of attraction, no matter how many and how good were the other musicians that were playing with him. He had a great sense of musical timing coupled with intricately woven phrases and a superb use of vibrato. 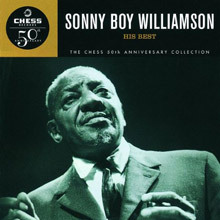 By 1955 Sonny Boy’s contract had been ‘sold onto’ Chess. He had for some time been playing in the bars of Detroit, where he worked with Baby Boy Warren, as well as in Chicago. His first sides for Checker recorded in Chicago feature Muddy Waters, Otis Spann, Jimmy Rogers and Fred Below. Don’t Start Me Talkin’ was a great debut for the label, and eventually made No.3 on the Billboard R&B chart in autumn 1955. Subsequent Checker sides saw him re-united with Robert Jr. Lockwood, a happy state of affairs as Robert’s playing perfectly complemented Sonny Boy’s rhythmic sense. Living and working in Chicago did not stop him from returning periodically to Arkansas and taking up residency for spells back on the King Biscuit Flour Time. His travelling ways continued in 1963 when he was included in the second American Folk Blues Festival tour of Europe. Sonny Boy loved Europe and Europe loved him, he even talked about taking up permanent residence, but initially he stayed behind in Britain after the tour ended. He recorded in Copenhagen with Matt ‘Guitar’ Murphy in November and then he recorded with both the Yardbirds and the Animals playing club dates with both bands throughout the country. Eighteen year old Eric Clapton was in the Yardbirds at the time they recorded a live album at the Crawdaddy Club on December 8 1963. The Yardbirds, with their teenage prodigy Clapton and the hard drinking, hard living Sonny Boy must have been an impressive combination in the hot sweaty clubs. Sonny Boy travelled throughout Europe and even played in Poland before appearing in the American Folk Blues Festival again in 1963 along with Howlin’ Wolf; once again delighting audiences with his funny stories, casual asides and all round showmanship. Shortly before he returned to America he recorded with organist Brian Auger and Jimmy Page. By 1965 Sonny Boy had returned to Helena and yet another spell playing on the King Biscuit radio show. While Sonny Boy talked of returning to Europe it was not to be, he died in his sleep in May 1965.